Having received both the EASA FSTD Operator (Flight Simulation Training Devices Operator), and Level D qualification for its Reality H Full Flight Simulator, The Norway Training Centre begins training for the H225 helicopter this month with its launch customers, Blueway Offshore Norway AS and Dancopter in Denmark. Thales’s state-of-the-art Reality H based H225 simulator is equipped with the Hexaline all-electric motion system, the most innovative in the world, and a large field of view combined with the ThalesView visual system, providing the highest possible resolution to accurately represent all flight conditions. 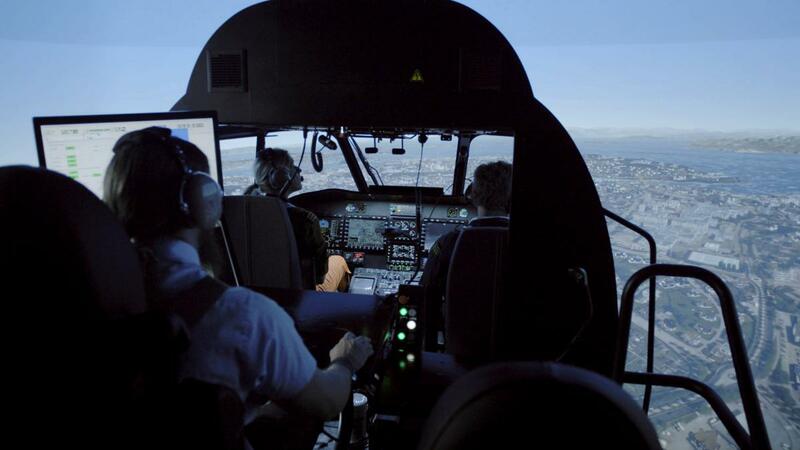 For the first time, Thales will introduce its integrated SAR training capability, making this Reality H the most versatile and comprehensive helicopter training tool on the market. It is perfect for helping operators such as Blueway and Dancopter train pilots on multiple missions such as Oil & Gas or SAR in the harsh conditions of the North Sea. Today’s opening represents the latest milestone in Thales’s global network of full service training centres. Thales launched its training centre network in France last year, and with the opening in Norway, and Australia later this year, will be able to offer customers a global training solution to suit their requirements and budgetary constraints. Furthermore, through an agreement with Agusta Westland, the Royal Norwegian Air Force has chosen the centre inaugurated today for the training of their new AW101 helicopters. "Ever since we started down the path of becoming more than just a developer of training tools but of providing full service training services through our Thales Training Centre strategy, we have looked at the most attractive locations to serve the broadest possible spectrum of pilots. Here in Stavanger we have achieved a great victory. This training centre will train pilots in some of the most challenging conditions in the world and we want the training here to become a gold standard for any operator , wishing to have their pilots ready for any mission in the harshest and most challenging environemnts imaginable” - Jean Jacques Guittard, Thales Vice President, General Manager Training and Simulation activities.